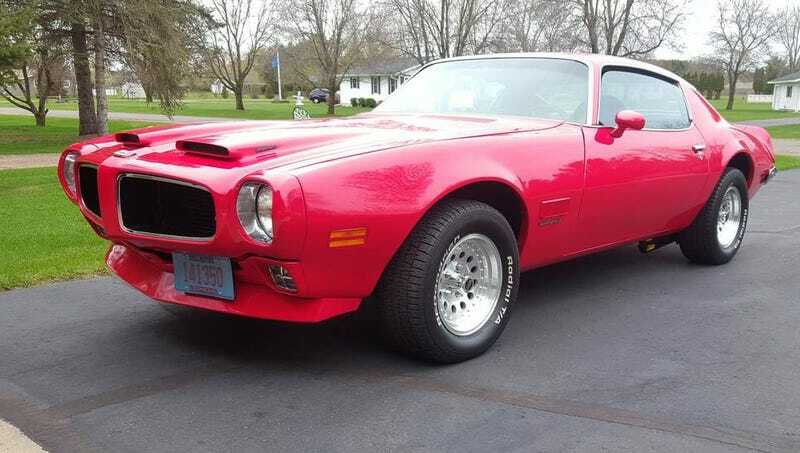 For $34,999, Could This 1971 Pontiac Firebird Formula 455 Make You The Biggest On The Block? You may have noticed my recent fascination with defunt marques, an enchantment that extends to today’s Nice Price or Crack Pipe Firebird. Pontiac may be dead, but you’ll need to decide if this restored big block is priced to bury the competition. The 2007 Mercedes Benz R63 AMG we featured yesterday was one of… oh, somewhere around forty that the Swabians deemed to be sufficient to sate America’s hunger for crazy quick six-passenger rides. That rarity and the siren song of 507-bhp were not enough however, to overcome skepticism over its price, and potential fro mechanical shenanigans of the catastrophic nature. In the end it fell in a substantial 71-percent Crack Pipe loss. Phew, I’m sure glad I didn’t post the one with the back seat TVs which was going for fifty-seven grand. Look, if you’re going to be dropping serious cash on a car, you don’t want a mom-mobile, even if you actually are a mom. Nope, you want something badass and bubblegum chewing for your hard-earned cash. With that in mind, please gaze in wide wonder at the joy we have found. 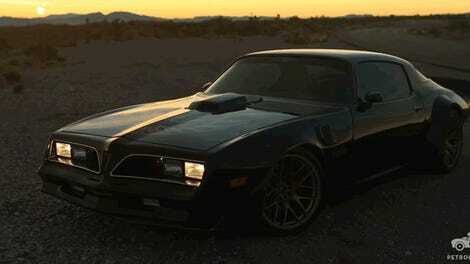 That of course, is this 1971 Pontiac Firebird Formula 455. The first thing that you might notice is that this car is damn good looking. Like George Clooney, just-gets-better-with-age kind of good looking. The next thing you’ll notice is that it has a pair of nostrils on its nose—just like you and me—and those are embellished with badges that read “Ram Air.” Those words will elicit knowing looks of approval from those of us of a certain age, and probably visions of some sort of mountain goat slam dunk competition from you Youts. The air that’s rammed under the hood goes to feed a big block V8. This model year was the first for the 455-CID in the Firebird, and while there it made somewhere between 325- and 340-bhp depending on the model. The ad claims this Edelbrock bedecked edition to be fresh as a jam and to crank out upwards of 600 ponies. It also notes 500 lb-ft of Torquemada if that’s your poison. A Muncie four-speed corrals all those horses. The engine is only one part of the car that’s been refreshed. In fact, the seller describes it as having a frame-off restoration, which we all understand, but is kind of humorous seeing as the term is being applied to a unibody car. The interior has received new carpet, seats and headliner, while the paint—Viper Red—is a recent respray. Even the wiring harness has been replaced. Mileage doesn’t get its due, but the ad does note that the title is clean, just like the car overall. Muscle cars and pony cars are the new hotness right now, and while this Firebird is a long way from being stock or even all that rare a model/option combination, it’s still pretty-pretty and seems to be a well-sorted turn key ride. The big block/stick combo are the big selling points here, and it’s now time for you all to vote on whether or not that can get the car sold for its $34,999 asking. What do you think, is this 455 Firebird worth that kind of scratch? Or, is that price just the wrong Formula? Eau Claire, WI (Mmm, eclairs) Craigslist, or go here if the ad disappears. For $29,000, Could This 2007 Mercedes-Benz R63 AMG Be Your Maximum Minivan?